The rack and pinion DP1583 system with quad pulleys gives the user a lot of ease in the cutting of branches, the rope applies downward force to the tip of the lever arm which moves the blades upward. The quad pulley system reduces the effort by a factor of four - meaning only 25% of the normal effort is required while cutting upto 50mm (2"). 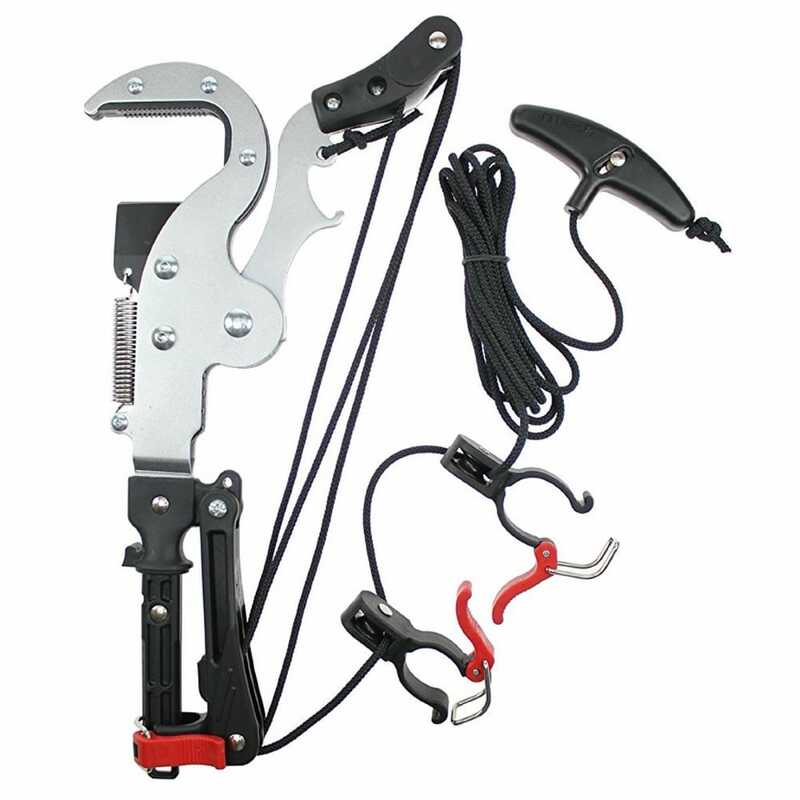 The 5mm steel blade coated for rust resistance and low friction, while the adjustable pulleys will prevent the rope straying or getting caught in the branches.